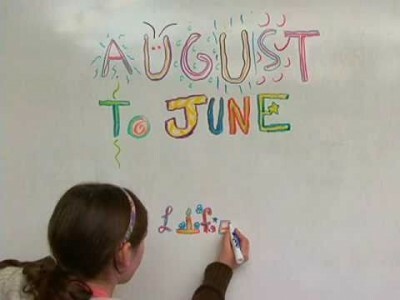 As confusing as it sounds seasonally, the documentary August to June will screen in November. Specifically, on Tuesday Nov 13 at 7 pm, Film Streams (filmstreams.org) is holding a free showing of the documentary about education in collaboration with the College of Education at the University of Nebraska at Omaha. There will be an audience discussion after, moderated by Dr. Sarah Edwards, professor of Teacher Education, and Debora Wisneski, an associate professor in Early Childhood Education. Let’s hope as moderators they are less Jim Lehrer and more Martha Raddatz, as the stakes are at least as high as the Vice Presidential debate’s. Because six movies in the can and four more to go is nowhere near enough Marvel Comics goodness, they are turning S.H.I.E.L.D., the fictional superhero bureaucratic organization from The Avengers, into a TV show on ABC. But that’s not the big news. The big news? COULSON LIVES! The beloved character of Agent Coulson (Clark Gregg) bit the bullet (or more accurately, got skewered by a glowing stick) in The Avengers. At the New York City Comic-Con, however, it was revealed he would be lead in the procedural TV show! Does this means he didn’t die? Will this series take place before The Avengers? Oh, who cares, we get more Coulson! Paul Thomas Anderson is confirming he has an “Inherent Vice.” Which is to say, the brilliant director continues to reiterate that as challenging as it is translating a Thomas Pynchon novel to the big screen, he ain’t going down without a fight. He admits he is writing with some actors in mind, potentially Robert Downey Jr, who has openly expressed his interest as only RDJ is prone to do. If we live in a world with a Pynchon movie with RDJ directed by PTA, I may be DOA with J-O-Y.